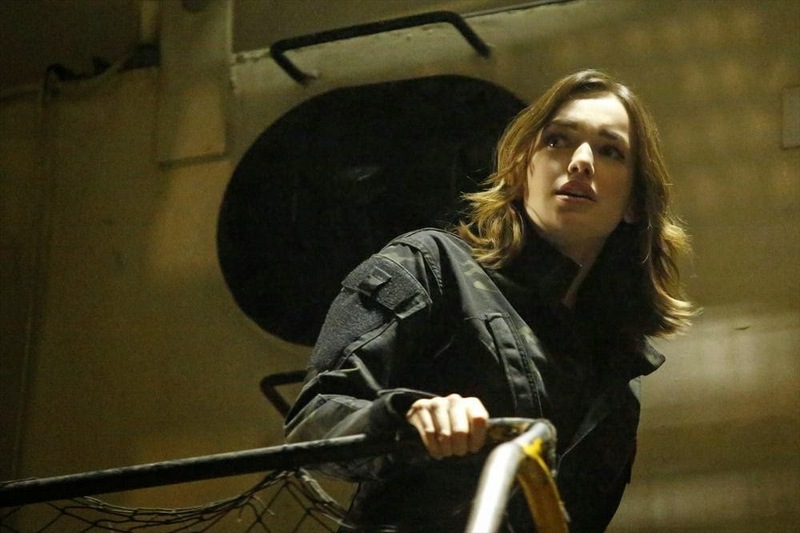 Agents of SHIELD had a very (publicly) rocky first season. It was rough. There were some episodes that you sort of dragged through, praying that your faith in the Whedonverse and Marvel would finally be rewarded, but with your hope dwindling day by day... Okay, I'm making it sound a lot more interesting than it was. The real problem was just that for the first 16 episodes of season one or so, the show was dull. It didn't know what it was doing, and most people lost interest. After the release of Captain America: The Winter Soldier, though, the show took a level in awesome and suddenly got way better. Mostly because, for the first time, there was a unified bad guy for the SHIELD agents to be fighting (HYDRA) and there were betrayals and intrigues and just generally interesting things going on. The first two thirds of the season suffered from a lack of tension, and the last few episodes had it in spades. Well, I am here to tell you that, thank goodness, the awesomeness levels of Agents of SHIELD have not returned to their pre-CATWS levels, but have in fact increased. That's right. The show is even better than it was before, and I am so happy about that. We start this new season with SHIELD operating as a sort of vigilante-shadow organization, still doing what they do, but without governmental support or really any money. They're running a skeleton crew, barely making their meets, and everyone is still shattered from the events of last season. Coulson is the new Director of SHIELD, but that means he no longer has time to meet with his baby agents and be their papa duck like he used to. May is still awesome, but she's flailing at having had her team cut down so much, and so she hovers adorably over Skye and Coulson and Fitz. Who, speaking of, has recovered partially from his coma at the end of season one (turns out, getting hypoxia and then nearly drowning isn't very good for you), but there are distinct lingering effects. He has a form of aphasia, where every word he needs is constantly on the tip of his tongue, and he has trouble controlling his fine motor functions. For a man who prided himself on his intellect, his sharp wit, and his ability to create complex machines with delicate workmanship, all of this is a huge blow. Fitz is a shadow of his former self. Also Simmons is gone, and for the first two episodes, we don't know why or where. At least Trip is still around, bringing with him a pleasant relief of cool laid-backness and general competence. It's so nice having a character who isn't just a bundle of issues on the show. Plus, he and Skye get along like gangbusters, complete with little conspiracies against their bosses and general BFF-ery. Skye, meanwhile, has learned all of the skills she was supposed to learn as a SHIELD agent. And, it turns out, she's even more badass than she would have been if she went to the academy, because having Agent May as your personal trainer is apparently very effective. So she's a regular field agent now, and that's a very good thing. Heck, it's like everyone got a personality upgrade to make them more interesting. Ward is still around, but now he's SHIELD's prisoner, kept in a cell in the basement where they can interrogate him for information on HYDRA. He's gone full Hannibal Lecter too, and refuses to speak to anyone other than Skye, presumably so that he can manipulate her. And Simmons? (SPOILERS) She's not just off the show. Actually, she's a lot more interesting than before. Simmons has taken an assignment working undercover for SHIELD, embedded in HYDRA's science division. She's slowly working her way up the ranks, trying to make friends, and generally being a really compelling character. Because she's not a great liar, and she's not ruthless, but she's got a real axe to grind against HYDRA. They're responsible for crippling her best friend. She has feelings. Even the new character additions, Lance and Mac, are reasonably interesting. To be honest, I find Mac a lot more interesting than Lance, but whatever. Lance is your standard pretty boy lothario agent, always hitting on Skye and trying to be smooth. 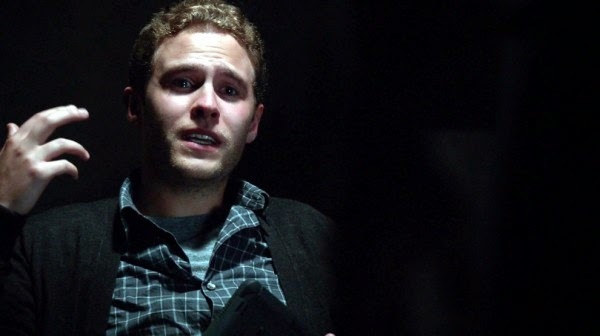 Mac, meanwhile, is a tech guy, like Fitz, and he takes it upon himself to be the one helping get Fitz out of his shell. He acts as Fitz's hands (and sometimes his mouthpiece) to get across what Fitz needs to explain. It's freaking adorable. Oh, and Patton Oswalt is still around as Agent Billy Koenig who may or may not be a clone. Ruth Negga's Raina has thankfully not been written out (yay! ), and it seems she's teamed up with a mysterious and menacing Kyle MacLachlin as Skye's father. So, you know, interesting stuff is happening. Most of all, though, it feels like the show finally figured out what we wanted from it. We didn't want movie tie-ins or case of the week stories. We wanted deep and meaningful character development that could get up close and personal with what it's like to live in the MCU. Right? We wanted to know what life was like for the average SHIELD agent when all of a sudden there's alien tech everywhere and superheroes are raining from the skies. Agents of SHIELD is the kind of show that doesn't really work if the characters are on top of it all. When they had limited resources and all the time in the world, the show was super boring. We weren't watching people actually grapple with the issues of living in the MCU, we were just seeing the cases too little and boring to be made into movies. But when the show decided to focus on the disastrous effects of HYDRA being unveiled, it all worked. And, credit to the writers, all that boring stuff in season one really helped establish the characters of the main group, so that when we got to the twist and when we revamped them in season two, the changes hit hard. We know who they're supposed to be, and so who they are now is incredibly devastating. Honestly, I have high hopes for this season. Coulson's apparently on the verge of going space crazy because they injected him with that alien juice to keep him alive, and that's always compelling. If he goes nuts, then that means that Skye might go nuts too, unless her status as a probable 084 (object of unknown origin) saves her. And I am curious about what's up with her parentage. Plus, May and Coulson's relationship has gotten full on amazing since this revelation. For me, though, Fitz's struggles to regain normalcy have become the most interesting part of the show. I already loved Fitz, because he's very lovable, but this season he's got that perfect mix of understandable angst and mild-woobie that just, ugh, hits me where it hurts. He misses Simmons like a limb, he's hurt and frustrated, and he doesn't know how to function anymore. Ward was one of his best friends, and Ward tried to kill him. If there's one scene that sold me on watching the new season, it's the one in episode three where Fitz accidentally stumbles his way into the room where they've been keeping Ward. He didn't know Ward was there, and suddenly he's face to face with the man who ruined his life. Fitz's actions are terrifying and devastating and I just... It's the kind of scene that reminds me why I watch television at all. So much character development paying off in one little scene. Which is essentially what this season really is. Character development paying off. Yes, there are cases of the week, but they really don't matter. I mean, yeah, we're vaguely interested in what will happen, but the point of the show isn't that our heroes get the macguffin every week, it's that the cases reveal aspects of their personalities, and push them and needle them and create wonderful opportunities for growth. Long story short, Agents of SHIELD has taken a level of awesome, and I am so okay with this. 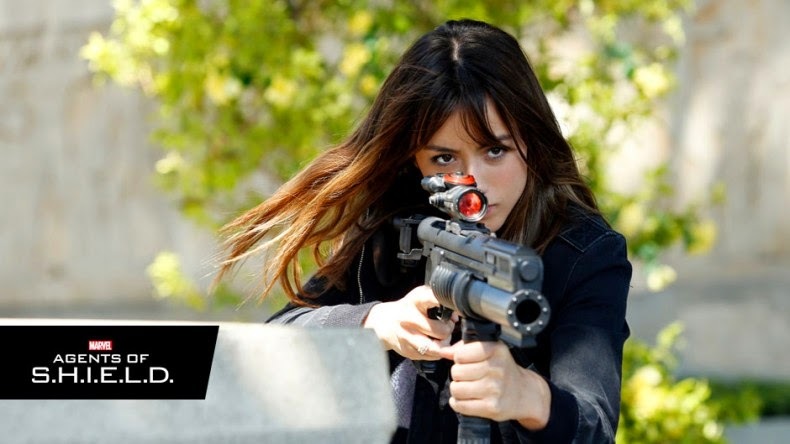 And, it turns out, she's even more badass than she would have been if she went to the academy, because having Agent May as your personal trainer is apparently very effective. Somehow this doesn't surprise me. Plus, season 1 would have been some serious on-the-job training. He's gone full Hannibal Lecter too, and refuses to speak to anyone other than Skye, presumably so that he can manipulate her. I've heard theories and rumours that they plan to redeem him, but I hope not. Regardless, I'm glad the show found its feet. I'm just generally really impressed with how willing the show was to rework itself and find its feet. Most shows are a little too precious about the premise and the actors and they never take the plunge to radically change the story. So I give them a lot of credit for being willing to risk it. It certainly paid off.